In 2015, I walked into 1st Step Family Wellness for the first time with the intention of meeting Dr. Jeanne and talking to her about her home birth and essential oils. I left the office that day with more than I ever dreamed of—a new chiropractor, a new friend, a job offer and a wide-open door for learning and witnessing holistic medicine. 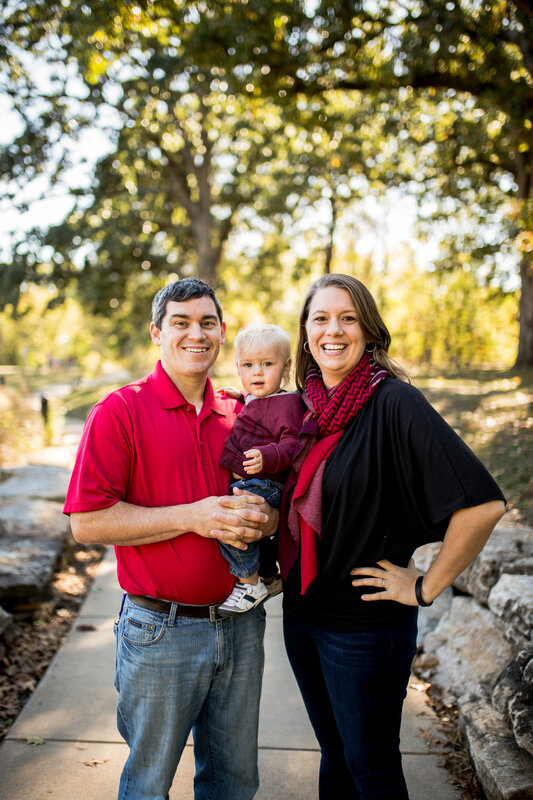 It has been such a blessing to be a part of this thriving practice in the heart of Kirkwood; where I grew up and still live with my husband, Greg, and our son, Asher. While experiencing the joys and struggles of exclusively breastfeeding my son, a new passion began to burn in me—a passion to serve new moms. It started with meal delivery and late-night messaging, but it turned into a desire to learn more so I could help more. I realized that without my supportive tribe I would not have been successful at breastfeeding. So in 2017, I received my Lactation Counselor Certification through the Healthy Children’s Center for Breastfeeding, as well as completed Postpartum Doula training. I am honored to offer my passion and knowledge about breastfeeding and postpartum support to our 1st Step Family Wellness families, as well as on the mission field. Without a question, God led me to 1st Step Family Wellness and continues to guide my steps at work and at home. Greg and I met volunteering for the American Red Cross Disaster Relief after hurricane Sandy in New Jersey. We were married in 2014, but our heart for missions and serving never faded. In 2015, we traveled to Guatemala for the first time together and were forever changed as Jesus knit our hearts with the Guatemalan people. We feel the tug of our heart in Guatemala daily, and are excited about the potential for longer-term mission work in the future. In the meantime, we rejoice in seeing how God is molding us and using us to serve the community around us here in St. Louis. I initially fell down the holistic health rabbit hole in 2013 learning about native herbs; which led to my passion for essential oils. I was not satisfied with Dr. Google or Mrs. Mommy Blog, so I attended several essential oil educational seminars through the Center for Aromatherapy Research and Education. During this time, I began to discover more about my health, and experimented with different solutions for my previous diagnosis of ADHD. I have experienced many breakthroughs in this area thanks to the healing power of Jesus and consistent healthy living. I enjoy sharing my knowledge about healthy living and the power of essential oils through classes I teach at the office regularly.